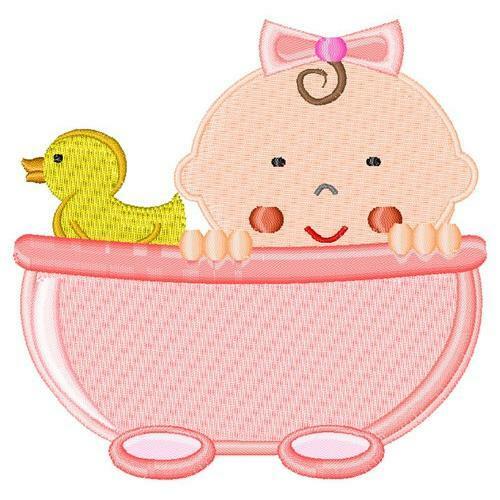 This is a sweet bathing baby girl design! Sew this on a diaper bag, sleeper or nursery room decor! Finish Size 2.83" x 3.02"